Focusing on basic lubrication problems this book offers specific engineering applications. The book introduces methods and programs for the most important lubrication problems and their solutions. It is divided into four parts. The first part is about the general solving methods of the Reynolds equation, including solutions of Reynolds equations with different conditions and their discrete forms, such as a steady-state incompressible slider, journal bearing, dynamic bearing, gas bearing and grease lubrication. The second part gives the ‘energy equation solution’. The third part introduces methods and programs for elasto-hydrodynamic lurbication, which links the Reynolds equation with the elastic deformation equation. The final part presents application lubrication programs used in engineering. With an emphasis on clear explanations, the text offers a thorough understanding of the numerical calculation of lubrication for graduate students on tribology and engineering mechanics courses, with more detailed materials suitable for engineers. This is an accessible reference for senior undergraduate students of tribology and researchers in thin-film fluid mechanics. 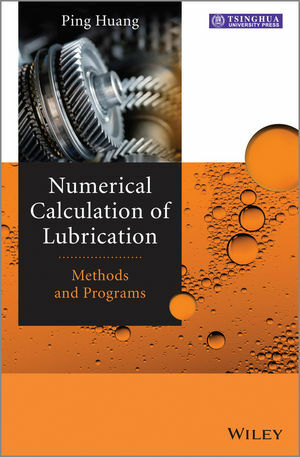 Numerical Calculation of Lubrication Visit the companion website to access the programs discussed in the book.